Our Company CHARSET s.r.o. 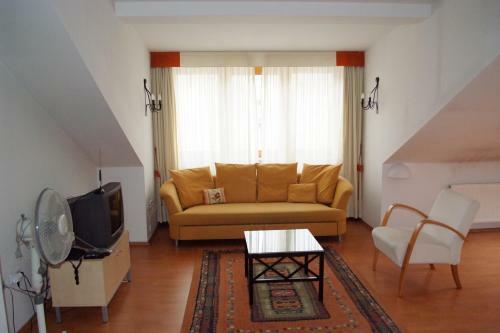 (Prague, czech Republic) would like to offer you cooperation in field of short term rent of our EDEN APARTMENTS in Prague. EDEN APARTMENTS are set within completely reconstructed historic building with elevator. We offer apartments (from 30 sq.m. to 80 sq.m.). All apartments are beautifully furnished, have unlimited internet access, satellite TV, equipped with all necessary household appliance including dishwashers and washing machines. All apartments are serviced twice a week with complete apartment cleaning. There are free parking space for our guests inside the building yard. Nearby you will find many traditional Czech restaurants, Shopping mall TESCO, hairdressing, massage saloons etc. We provide FREE from/to Prague Airport transfer for our guests. 2 NIGHTS ABSOLUTELY FREE ACCOMODATION IN ANY AVAILABLE APARTMENTS !